The only system that will grow your fanbase and earn you money! Without any PRO Plans! From W. A. Production. TRAP/RAP BEAT Prod. t.k beats "N E W D A Y"
All of our features are absolutely free, no need for paying anything extra. 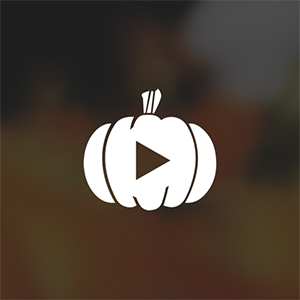 Get PumpYourSound followers, that will automatically repost each new release of yours! Get SoundCloud, Facebook and YouTube followers for your free downloads! Get bonuses & make real money from your tracks! Collect emails and build your own mailing list! Plan your SoundCloud activity & reposts, manage multiple accounts! "Pump Your Sound is a must have tool for all Producers to rapidly grow up a fambase in a short time on Soundcloud, Facebook and YouTube. The best thing is that all of this is for free!" "For producers that put their stuff out there for free, getting followers and money in the same time is something really amazing that makes Pump Your Sound different than some other gates, so I highly recommend it!" "The best fangates system I've used till now. Getting rewards is what I love about this. Pumpyoursound is your best option." "Pump Your Sound system has been created by producers for producers. We know exactly what features you are looking for. As one of the creators of Pump Your Sound, I deeply believe, that once you will start using this system you will never go back :)"
"Sick service guys! Continue to work and improve your project, cheers! :)"
"What is Pumpyoursound? This is your new tool for getting your unique base of fans! This is a great opportunity for your creativity not to be left out! The Pumpyoursound platform will help you become more attractive to your listeners. This is what you try today, you will always use it!" "We are using PumpYourSounds for their ScPlanner. We are really happy about it. It's a great service for scheduling the reposts of you tracks in a very easily way. It is also really cool that it is a Free Service."